One thing everyone knows about Australia is that it’s home to some of the most interesting wildlife you’ll ever see. From cuddly and cute to absolutely terrifying, the animals of Australia are certainly fascinating and unique! 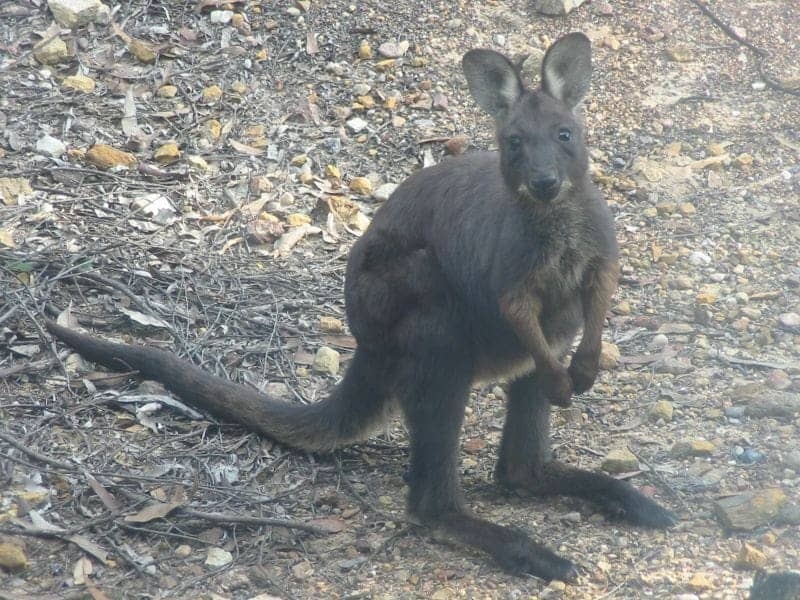 It’s one of the very few countries where you’ll find marsupials and egg laying mammals! Below is a list of native Australian animals and some introduced species with a few facts thrown in so you can impress people. This list doesn’t include all Australian wildlife (yet) but definitely the most well known and a few you’ve probably never heard of as well. A-Z list of Australian Animals! What is a marsupial? Marsupials are ‘pouched’ animals meaning that they carry their young in a pouch. Examples include kangaroos, wallabies, possums and wombats. 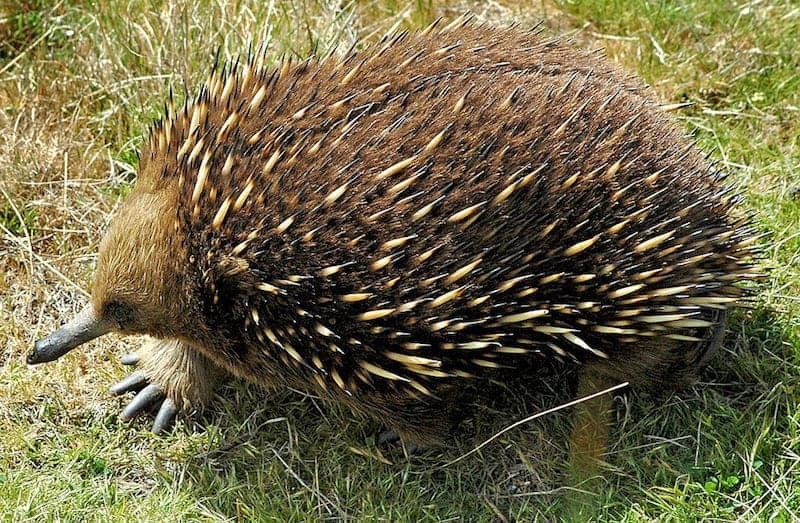 Egg laying mammals are incredibly rare in the animal world, in fact Australia and New Guinea are the only places in the world where you’ll find the platypus and the echidna (the only egg laying mammals that exist). Many animals in this list are endemic to Australia, meaning they’re found only here, i.e. they’re native to Australia. 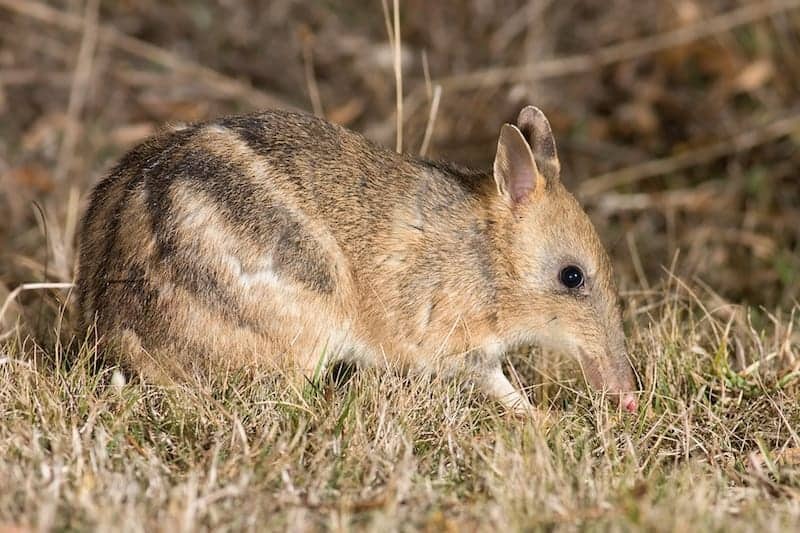 There are 20 species of bandicoot. They’re endemic to Australia and they’re marsupials which are nocturnal and also omnivores (they eat both meat and plants). They’re also pretty cute. There were 2 species of bilby. 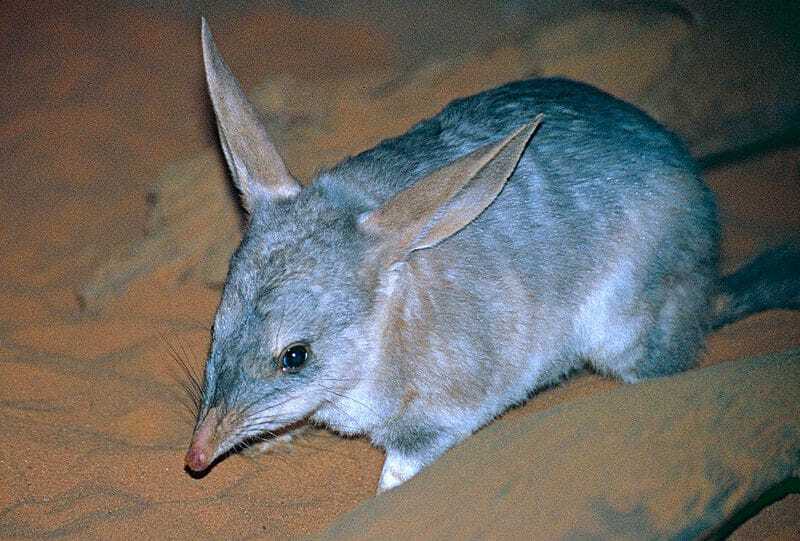 The lesser bilby is sadly extinct but the greater bilby can still be found in Australia, although it is endangered. Also known as a rabbit bandicoot, because it’s very similar to the bandicoot but with very long ears, the bilby is native to Australia. Found in tropical or temperate waters all over the world. If you go near or on the ocean in Australia you’ll be unlucky not to spot bottlenose dolphins at some point during your trip. 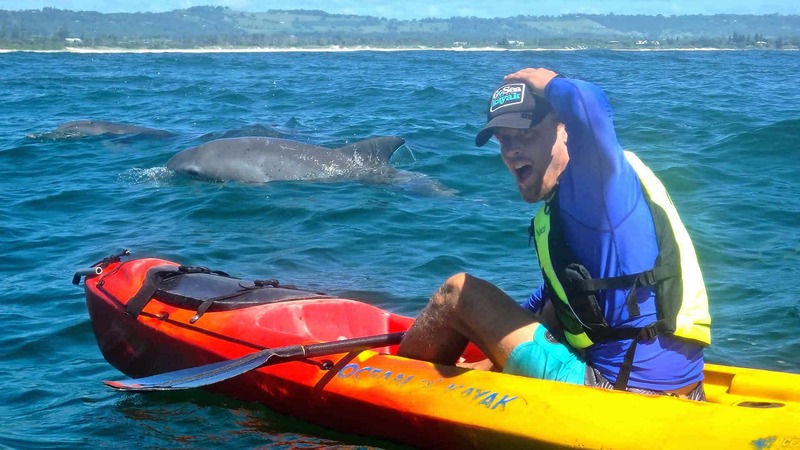 I highly recommend going on a sea kayaking trip in Byron Bay for a great opportunity to spot dolphins up close. The Brolga used to be known as the “Native Australian Crane”. As well as being the largest flying bird in Australia it’s also known for it’s mating dance. You can find Brolga’s in many parts of tropical Australia, especially Queensland. 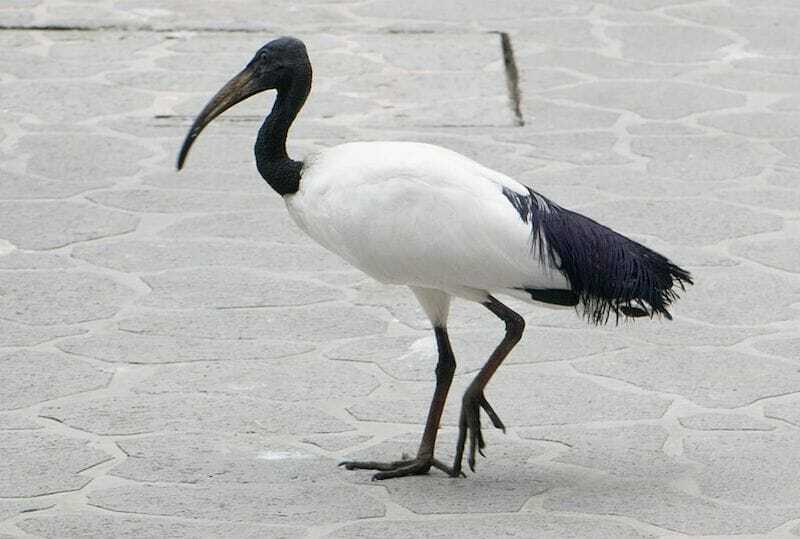 In fact it’s the official bird emblem of Queensland. 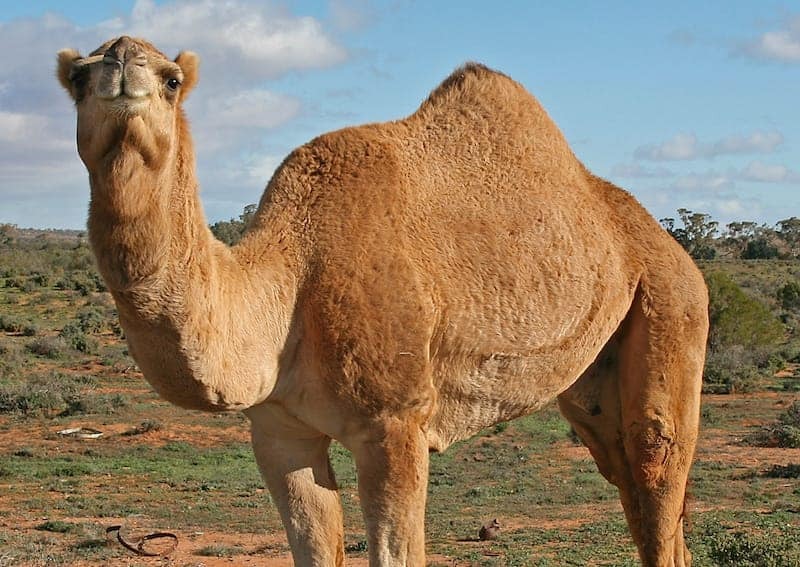 Camels are not native Australian animals and hopefully that isn’t too much of a shock to you! They’re worth a mention simply because there are so many wild camels in the country (around 1.2 million of them!) especially in the Outback. They were imported to help with transportation and construction back in the 19th century but are now feral. There are so many camels that they’re exported to the Middle East. 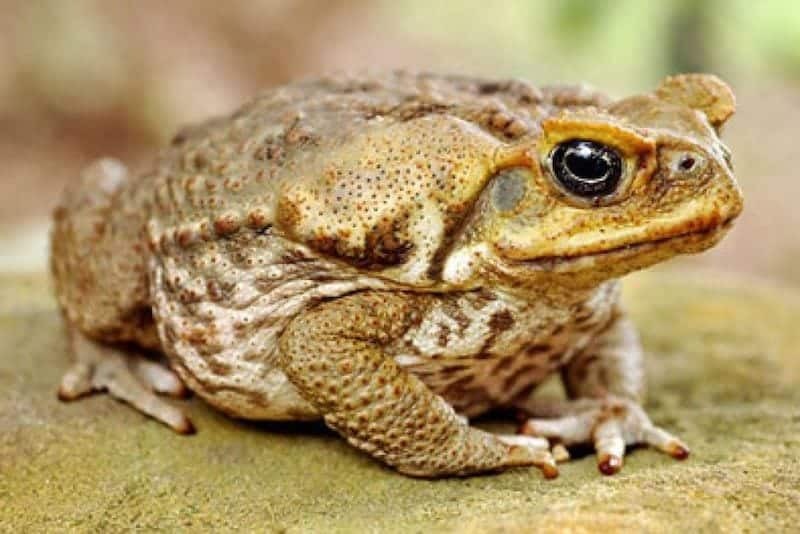 Also not native to Australia, the cane toad was introduced to Australia in an attempt to control the beetle populations which were destroying sugar cane crops (a major crop for Australia’s economy). The cane toad spread rapidly through Australia and is also spreading disease. You’ll mainly see these large toads dead on the road or being harassed in quite a few pubs during cane toad races. A terrifying looking bird in many ways but also quite beautiful because of the colours on its head and neck. 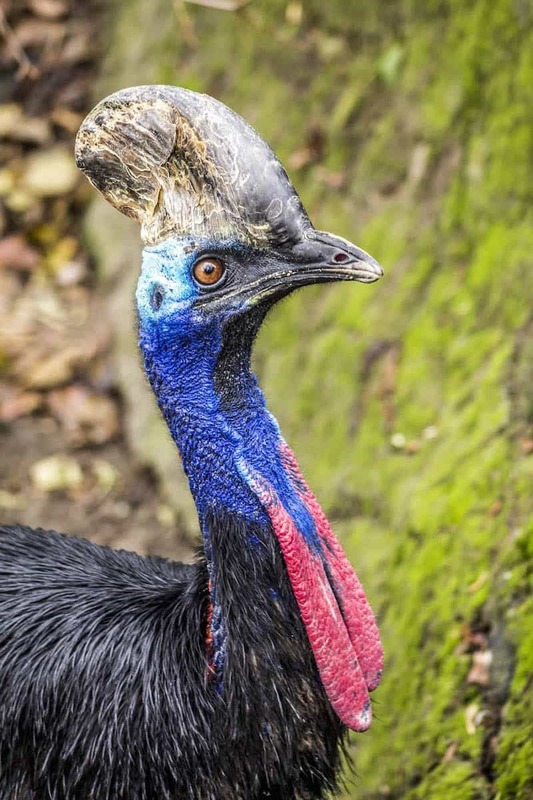 You can find the cassowary in Northern Queensland although they’re relatively shy so you might not spot one. Just be aware that even though they’re shy if you do come across one they’re dangerous! Cockatoos are fairly common in Australia, they’re intelligent birds that can be very loud! 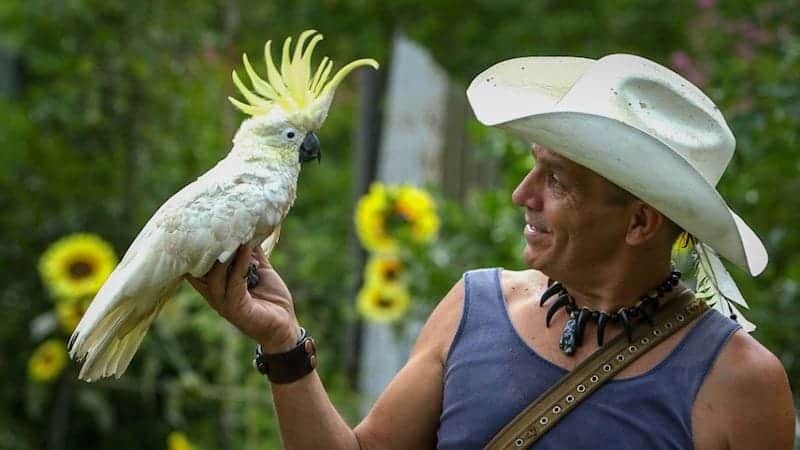 If you visit the Arts Factory Lodge book yourself on a free BushTucker Walk to meet Cockatoo Paul and Mr Pickles. The saltie! 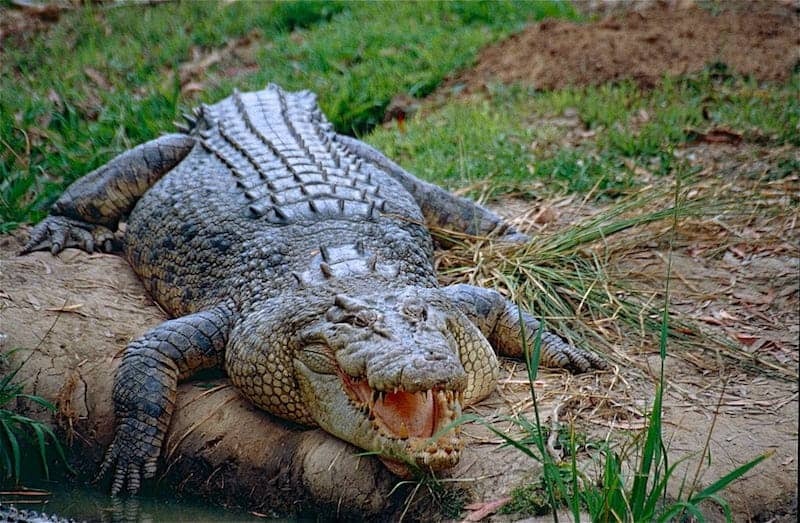 Saltwater crocodiles are pretty common in waterways in Australia, especially in the north. If you see warning signs telling you to stay out of the water then stay out of the water! Although salties are pretty massive they manage to hide quite well in the water and they’re quick so you won’t fare well against one. Of all the Aussie animals listed in this article this one might be the most terrifying! 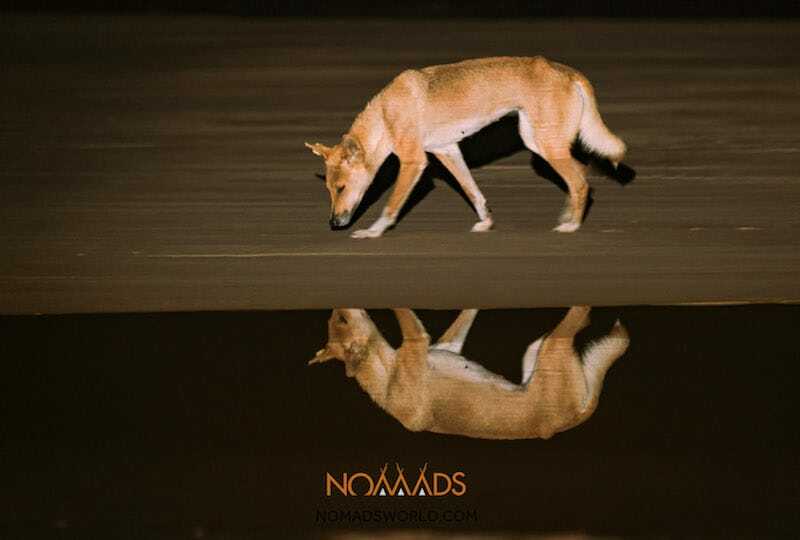 Well you’ll have heard of the dingo which, although endangered, can be easily seen on Fraser Island. Dingoes are protected on Fraser Island so if you visit (and you really must) please adhere to all the rules for keeping yourself and the dingoes safe from harm. Dugongs are similar to manatees in appearance and the only marine mammal which is a herbivore (eats only plants). 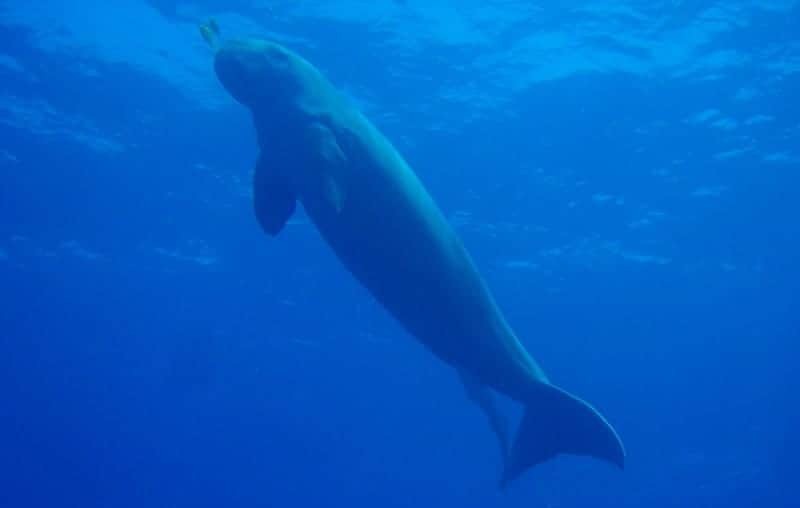 Dugongs are threatened with extinction so if you do see one you’re very lucky. You’re more likely to see them in Shark Bay in WA or in Queensland. Dugongs are also known as sea cows or the “Lady of The Sea” and are thought to be the inspiration behind tales of mermaids. Large, terrifying up close and flightless, emu’s are not one of the most popular animals of Australia. Surprising then that they appear on the Australian Coat of Arms alongside the kangaroo. Possibly even more surprising is that they were allowed to remain on the Coat of Arms after they beat the Australian army in the unbelievable, but very real, Great Emu War. 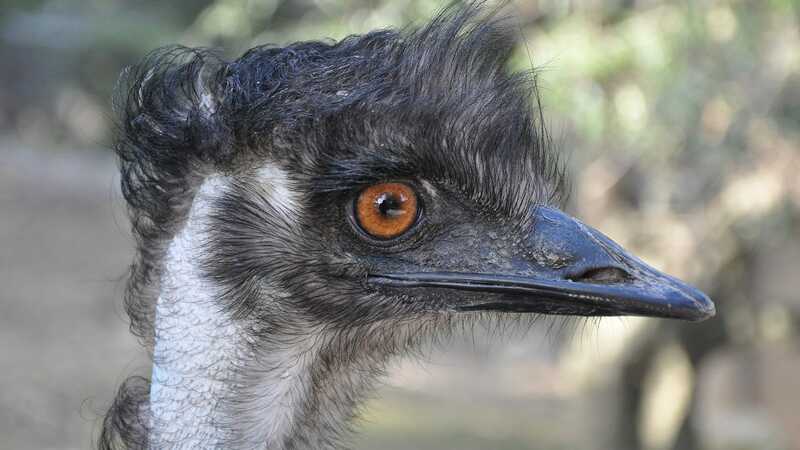 Emu’s are endemic to Australia and are it’s largest bird. Even 10 years after first seeing penguins in Australia with my very own eyes it still seems strange to me that what is thought of as a very hot country would have an animal that is most well known for living in icy climates. But there we go. 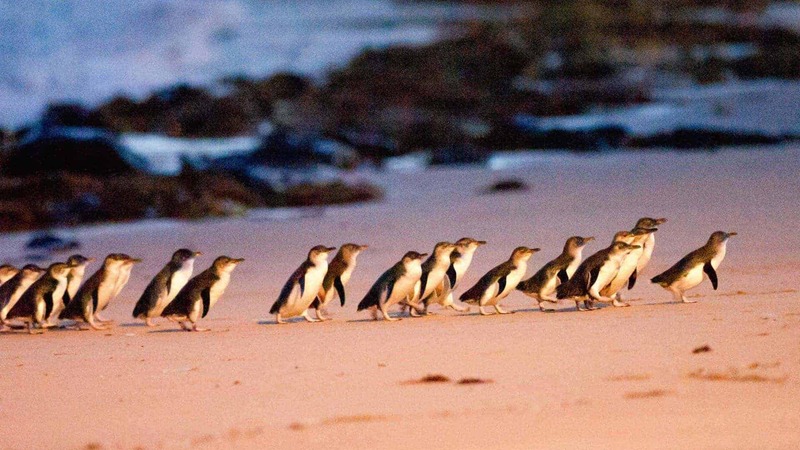 Fairy penguins, which are incredibly cute, are quite commonly seen in Australia, most famously on Phillip Island where you can witness for yourself their parade up the beach. I highly recommend doing a tour to see them but please DON’T take pictures using your flash! Just to be confusing this is a bat not a fox. The grey headed flying fox is a mega-bat endemic to Australia. It’s mostly found in the south eastern parts of the country. 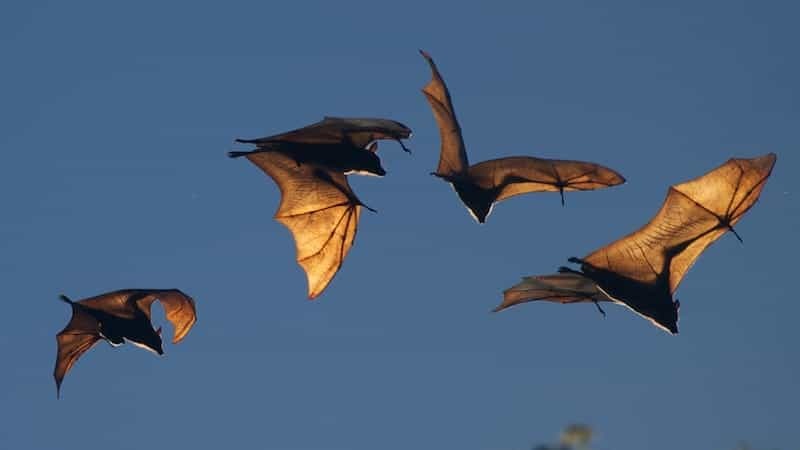 The little red flying fox is also a native mega-bat but living in north and eastern areas. It’s the smallest of Australia’s flying foxes. Also in the north eastern parts of the country you’ll find the spectacled flying fox (or spectacled fruit bat). Finally you may also see a black flying fox on your travels. A mega bat is larger than usual bats, they’re also known as fruit bats and many do not use echo-location. Frill necked lizards are fairly hard to spot as their colours help them to stay camouflaged, except when they display their colourful frills of course. These lizards are relatively large but harmless and if you keep your eyes open you might spot one in the northern territories. The Australian fur seal is the largest of all fur seals and the 4th rarest species of seal in the world, so they’re a protected animal in Australia. 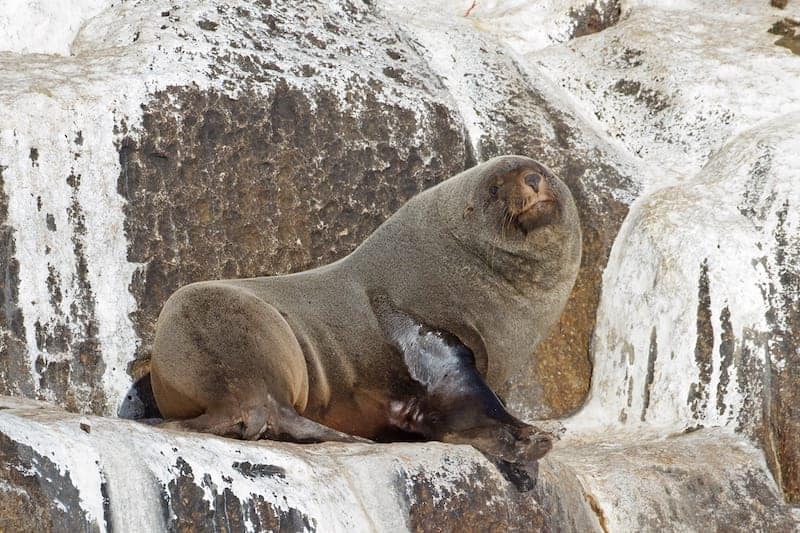 Fur seals tend to be found in the south of the country with Seal Rock on Phillip Island being a good place to look for them! 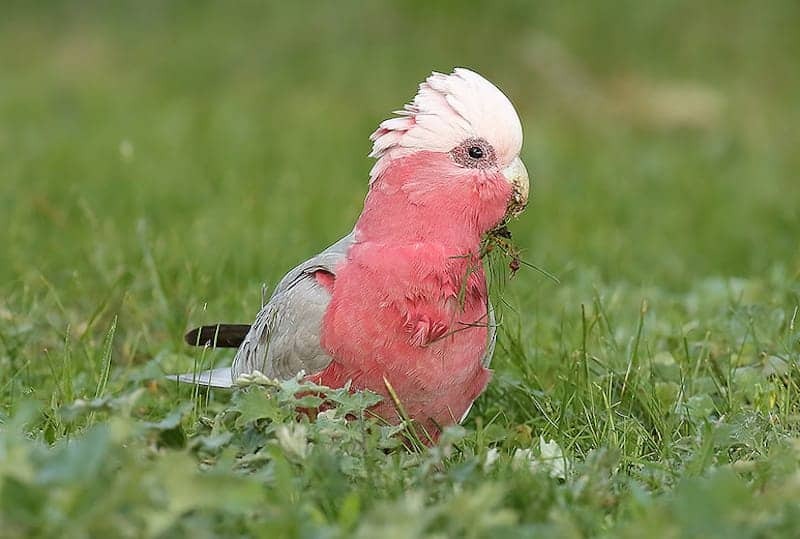 A galah is not just an Australian slang word for a stupid person, it’s also an Australian cockatoo with a reputation for not being too bright. 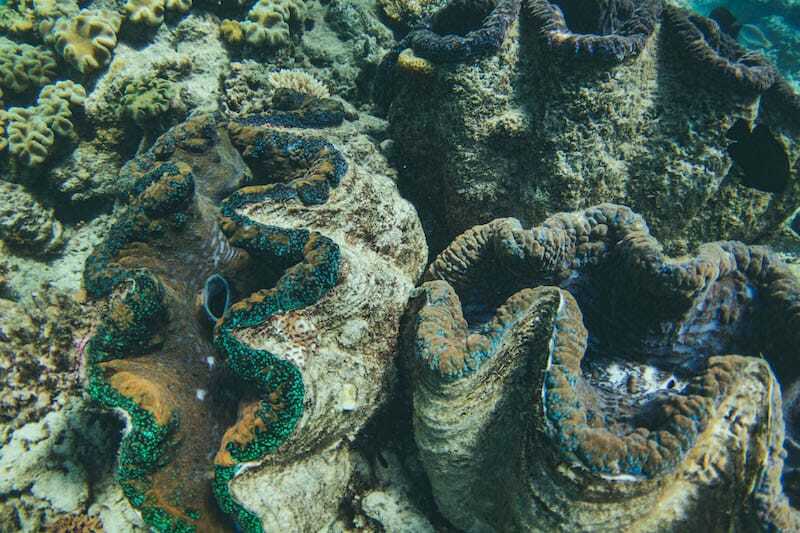 If you plan on doing some underwater exploration of the Great Barrier Reef during your trip to Australia then you’re quite likely to come across a giant clam or two. Giant clams can weigh up to a whopping 200kg and can live for 100 years. They start their lives male but become hermaphrodites (can produce both sperm and eggs). 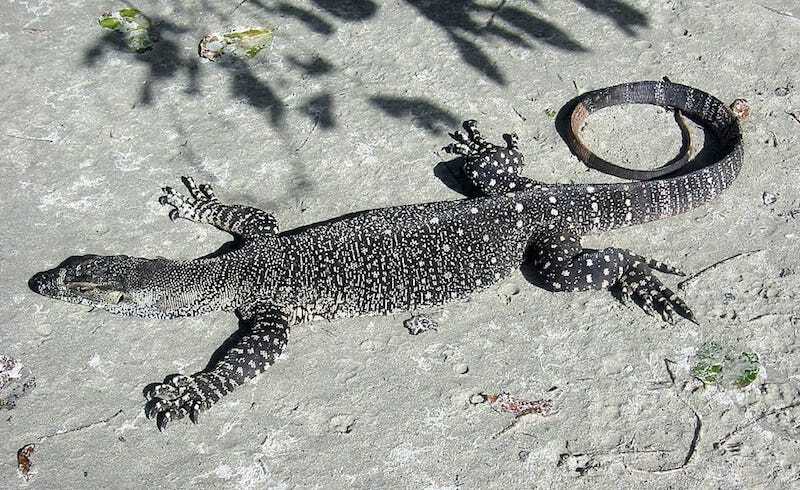 A Goanna is a type of monitor lizard which varies in size from just 20cm long to 2 metres! 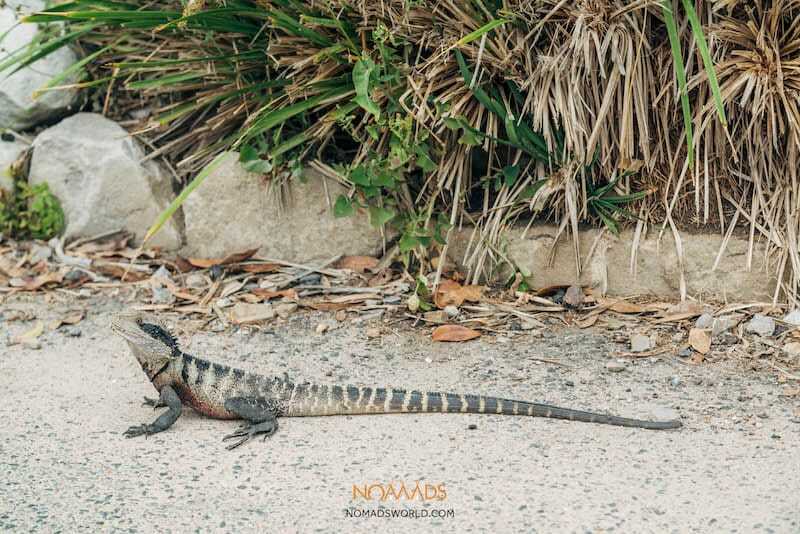 Depending on what source you use there are thought to be either 20 or 30 species of monitor lizard, 15 or 25 of which can be found in Australia. 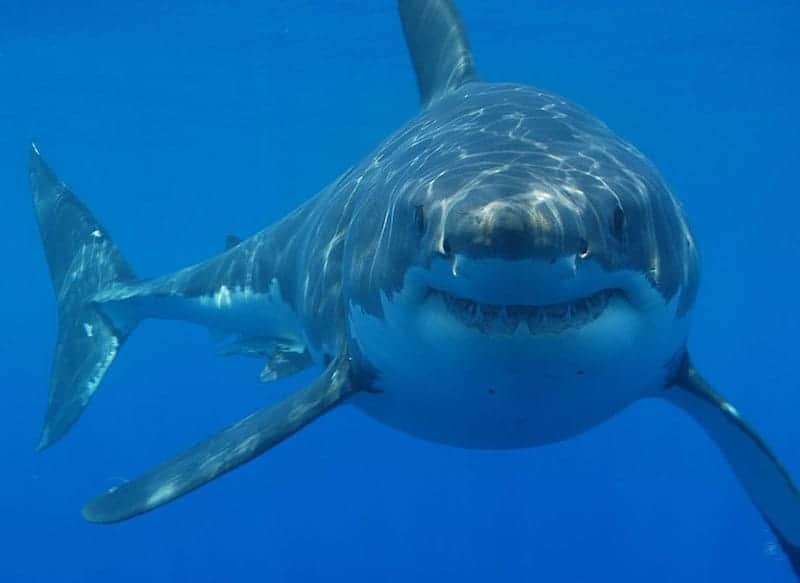 The only reason I didn’t list this as the most terrifying on this list of Australian animals is because Great Whites have had a bit of a raw deal. Yes, they’re scary and yes they can be deadly but the majority of the time they’re not going to bother you. The Jaws films have a lot to answer for with regard to this animals reputation. They can grow up to 6 metres long and are scary looking but my advice? Don’t go in the water during a sharks dinner time! You’ll see this fairly large and strange looking bird all over the place. Sadly they have a bad reputation and are known as bin chickens or tip turkeys due to their scavenging behaviour. This is due to the fact that it can be a lot easier for them to feed from rubbish left around by humans than in their normal wetland environment. Alongside the koala, kangaroos are probably the most well known of all the animals of Australia. 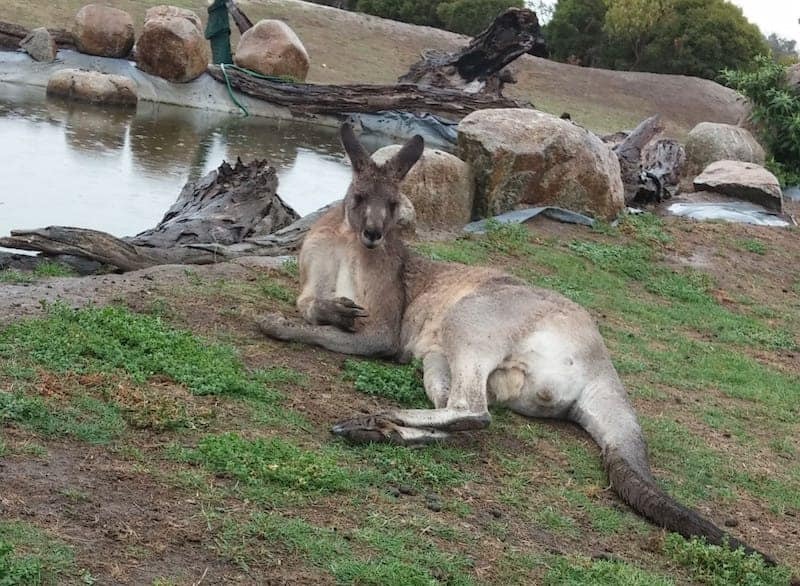 The red kangaroo is the largest while the grey kangaroo is the one you’re likely to see most often. Appearing on the Coat of Arms beside the emu, the kangaroo is also a popular Aussie food. Looks like a teddy bear but is NOT a bear, don’t even think of referring to them as koala bears near Australians!! 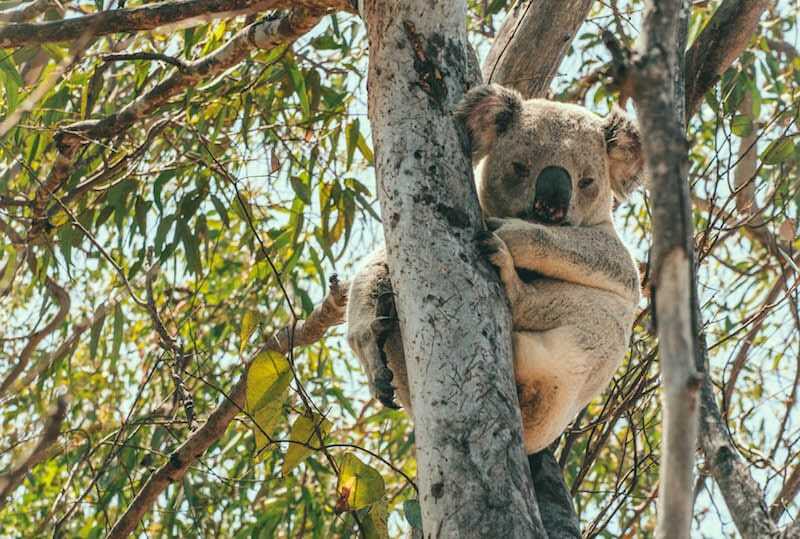 Koala’s are fairly common in coastal areas in the south and east of the country but their habitats are being threatened by humans. Koala’s in the north tend to be smaller than their southern counterparts which can be up to twice as heavy. Is this the cutest Australian animal in this list? No, but it’s close… keep reading for the cutest of all the native Australian animals (in my opinion anyway). Kookaburra’s are part of the Kingfisher family and it’s largest member. The native Australian kookaburra’s are probably most well known for their laugh. Their heads are also quite large in comparison to the rest of their bodies. The Lyre Bird could also be called a liar bird because it imitates other birds and other sounds so well. I’ll let the incredible Sir David Attenborough tell you more about them! Magpies can be found all over the place so it might seem strange to mention them here, but the Australian magpies are a bit different to the ones you’ll find in the UK for example. Not only are their colours back to front they are known to be quite vicious. However don’t believe everything you hear about them as magpies are quite intelligent and are even capable of recognising faces. This is not such a great attribute if the magpie decides he doesn’t like you though! I don’t know why more people haven’t heard of the numbat. They’re native Australian animals (to Western Australia), marsupials and really quite odd looking creatures, although very cute. 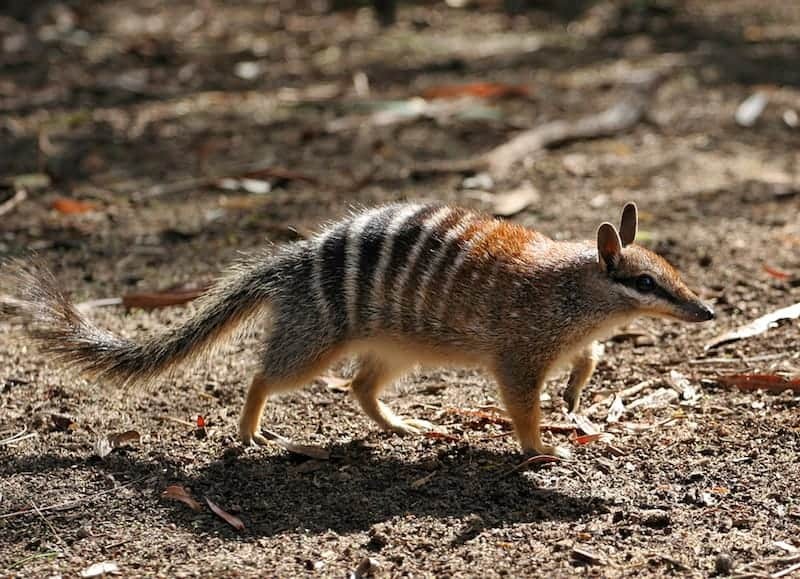 The numbat resembles an anteater and is in fact known as the banded anteater. They’re endangered due to introduced predators such as cats and foxes so they’re not commonly seen. 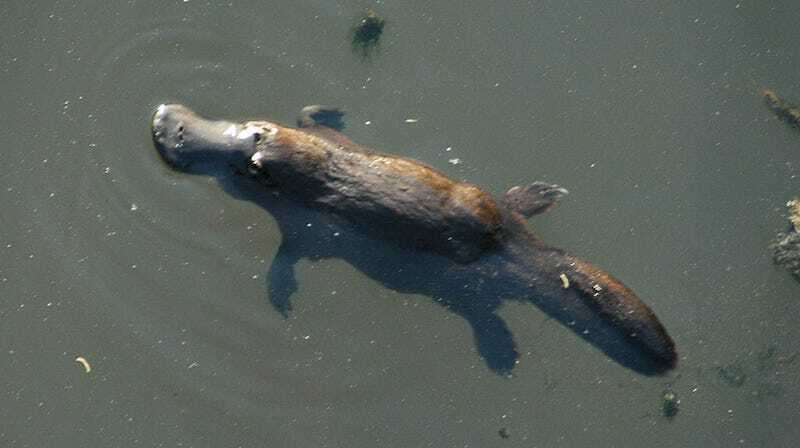 Ah the platypus, probably one of the strangest animals of Australia and the world. It’s the second egg laying mammal in this list and the oddest looking animal. They look so strange that people originally thought they weren’t real. 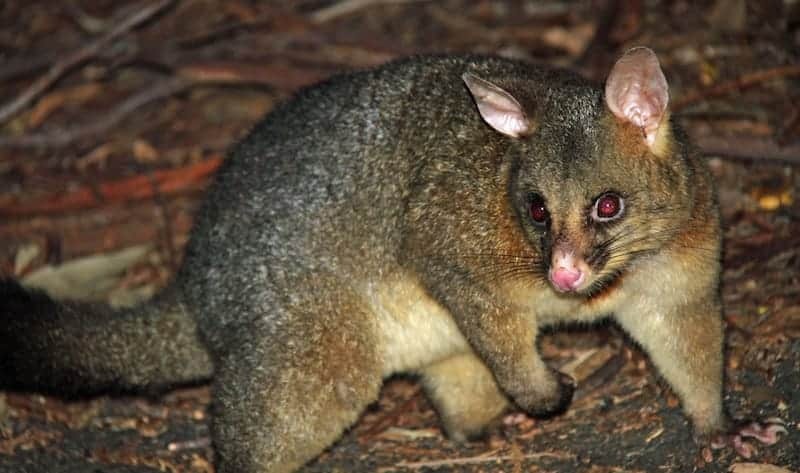 There are 23 species of possum in Australia but the common brushtail possum and the common ringtail possum are the ones you’re most likely to see. They’re nocturnal marsupials which happily live in urban areas. Both are about the size of a cat. Male possums are called a Jack, females are known as a Jill and the babies are Joeys. A very strong contender for cutest Aussie animal is the pygmy possum. 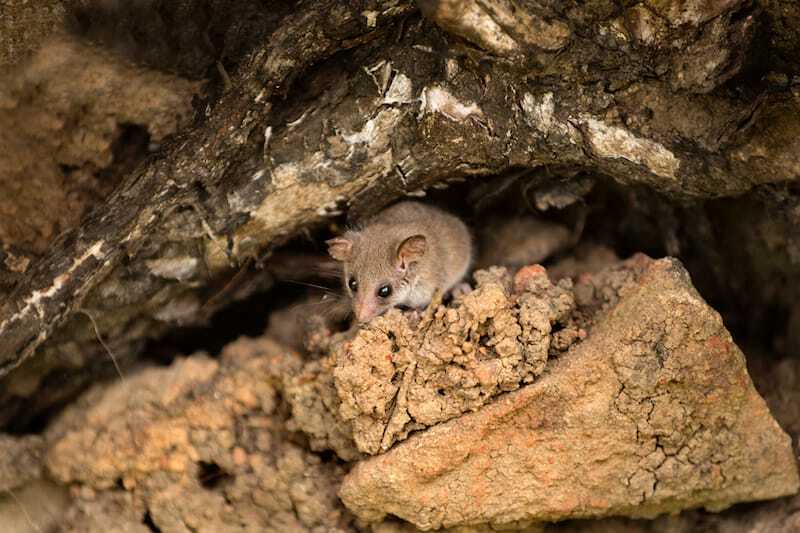 There are 4 different species: Western Pygmy Possum, Eastern Pygmy Possum, Tasmanian (or Little) Pygmy Possum and the Long-tailed Pygmy Possum. They’re tiny! They vary in length from 5cm to only 12cm and that’s from head to tail. They live in trees and help to maintain their own habitat by pollinating it as they’re nectar feeders. 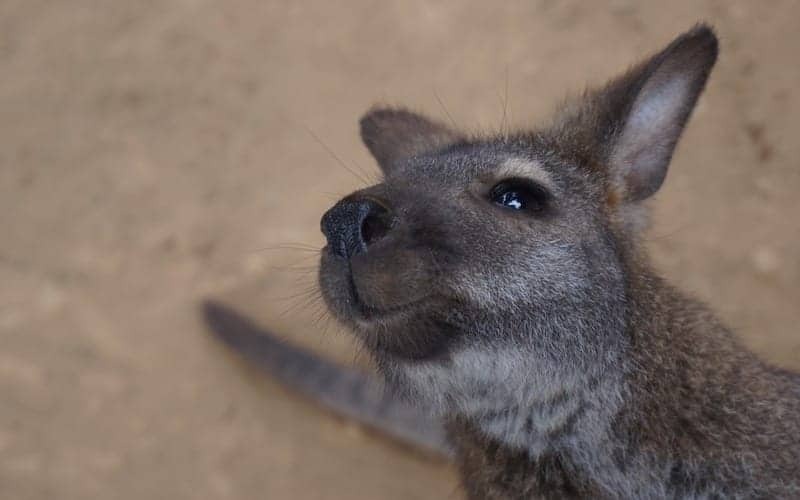 You made it – the cutest of all native Australian animals and the happiest creature on the planet. The awesome Quokka! 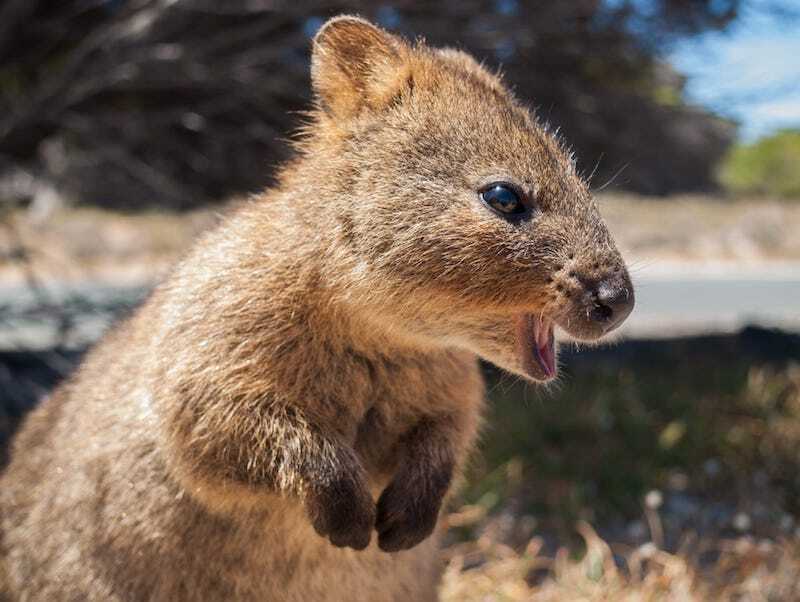 Quokka’s are all over the place on Rottnest Island near Perth in Western Australia and they’re extremely friendly so you just have to go there! 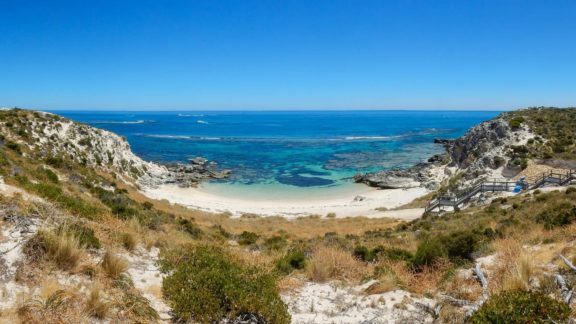 Rottnest Island is also a stunning place to visit even if they didn’t have Quokka’s. Here’s another one of the native Australian animals that I’m surprised more people haven’t heard of because they’re so cute looking. 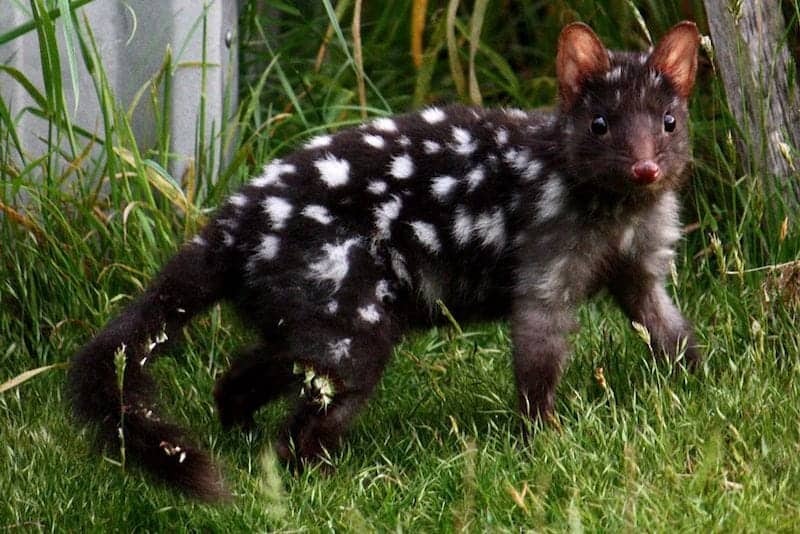 Quoll’s are native to mainland Australia, Tasmania and New Guinea. They spend most of their day in a den and hunt at night. Quoll’s are sadly in decline due to urbanisation and introduced predators. They’re related to the now extinct Thylacine (Tasmanian Tiger). Snakes are fairly common in Australia and no doubt you’ll be aware that Australia has loads of deadly ones!There are about 140 snake species found in Australia, 32 of which are sea snakes. And although about 100 Australian snakes are venomous only 2 of them could kill you (though it’s highly unlikely!). 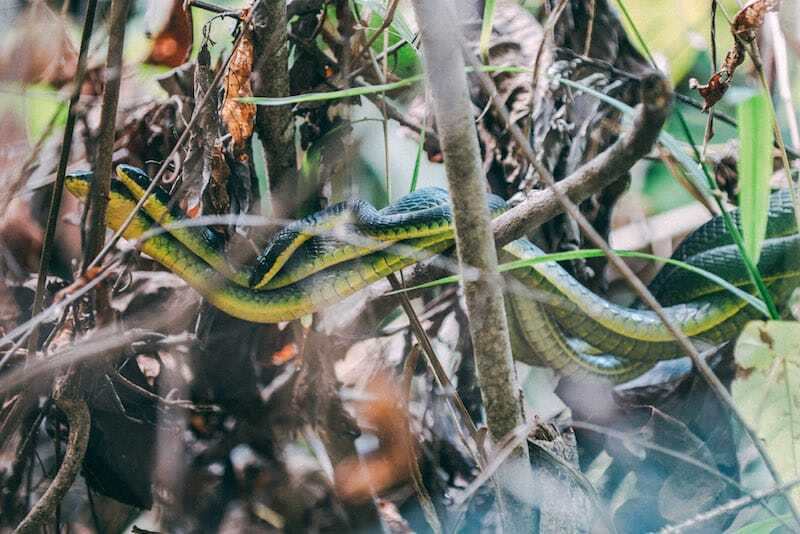 The ones pictured below are the common tree snake, also known as the yellow-bellied black snake, green tree snake or grass snake. They’re very unlikely to bite, but if they do they aren’t venomous. 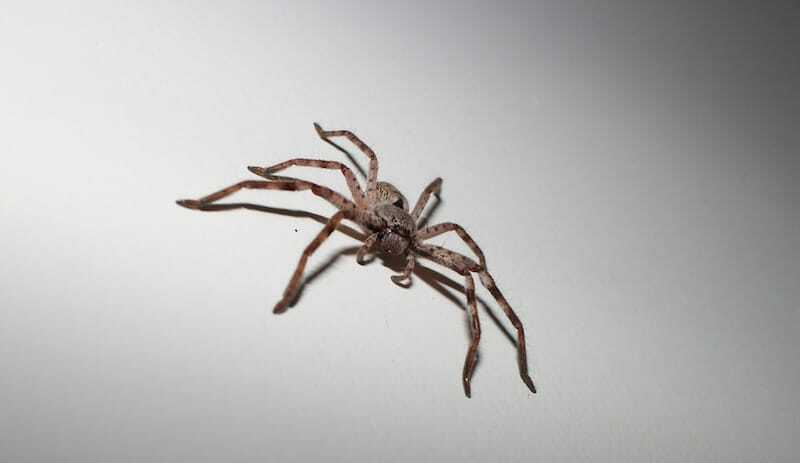 Ok, I’ll admit it, I’m terrified of spiders but in Australia you will see them, from the massive huntsman which moves disturbingly quickly to the bright red bottom of the redback spider. As you’ll be aware some Aussie spiders can be deadly, but most won’t bother you and even if you are bitten it’s unlikely you’ll die. Just be careful around these creepy crawlies! 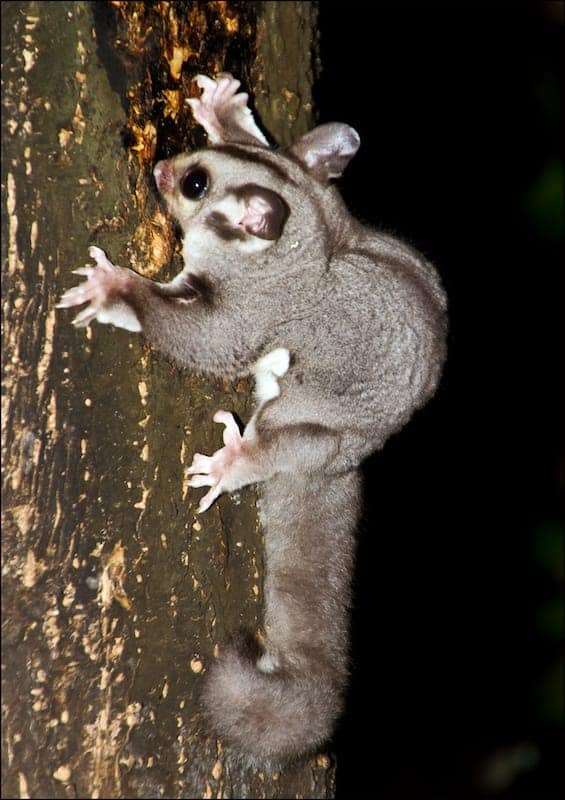 Sugar gliders are small marsupials which are fairly common in north and eastern coastal areas. They live in woodlands and glide between the trees at night searching for food. 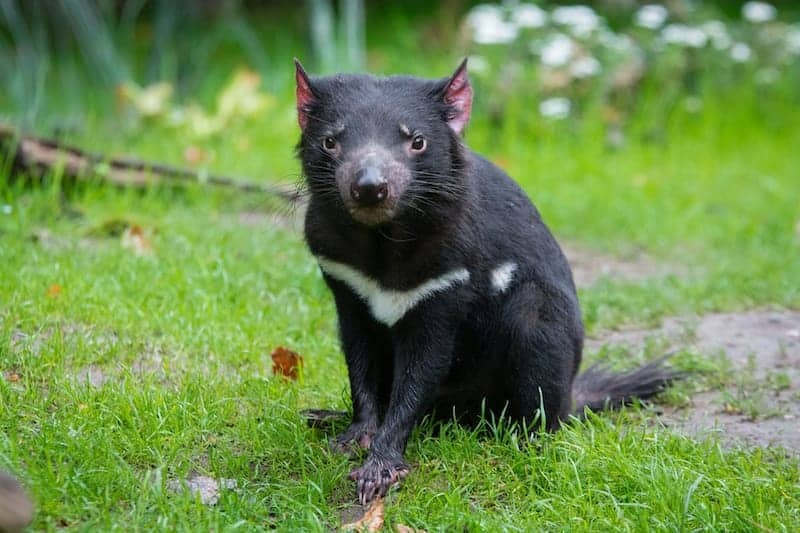 You look at the cute face of the Tasmanian devil and wonder how on earth it got its name but they’re notorious for their bad temper when they’re defending food, trying to find a mate or when a predator approaches. This carnivorous marsupial is endangered and it’s population is still decreasing. Sadly they’re suffering with a facial cancer that is contagious. The second devil on our list is a glorious looking lizard also known as a thorny dragon. 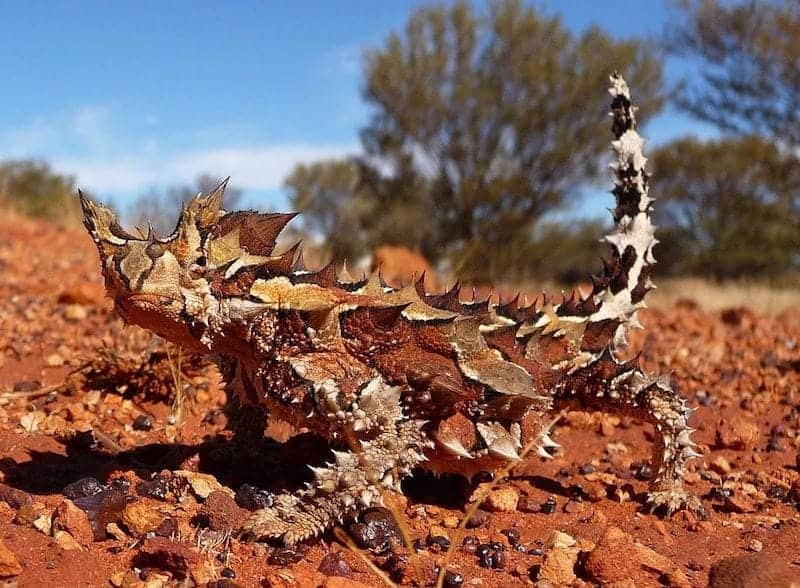 Thorny devils are great at camouflage in the desert and even have a false head to confuse predators. They can also absorb water through any part of their body. There’s lots of freshwater and sea turtles that can be seen all around Australia. 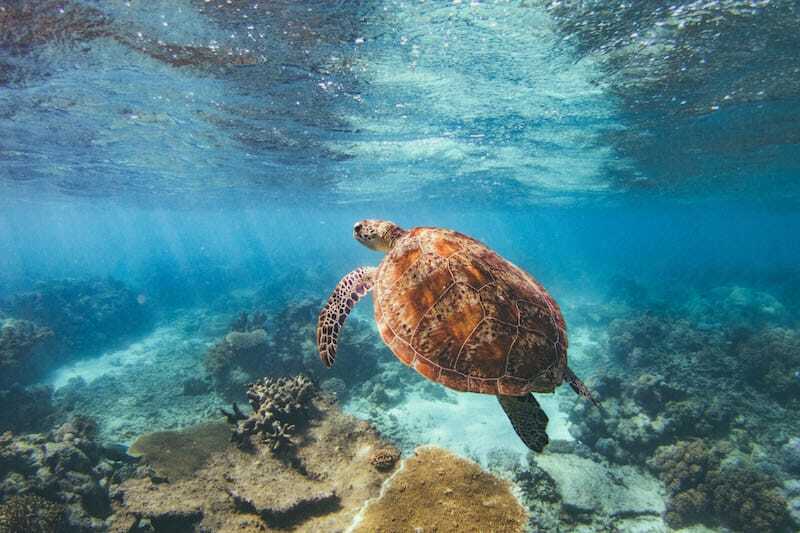 Heading to The Great Barrier Reef gives you the best chance to swim with wild turtles such as the loggerhead, hawksbill and the rarer green turtle. For an amazing experience head to Bundaberg during turtle hatching season to watch the baby turtles head to the sea for the first time after hatching. Wallabies are in fact kangaroos but wallaby is the informal name for those that are smaller than the kangaroos mentioned earlier. A group of wallabies is known as a ‘court’ a ‘mob’ or a ‘troupe’, I suppose depending on what they’re up to at the time! Look at that cute face! Like the wallaby a wallaroo is also in the same family as kangaroos. A wallaroo tends to be larger than a wallaby but smaller than a kangaroo. The Australian water dragon is most commonly found in eastern Australia and very commonly seen in Brisbane. 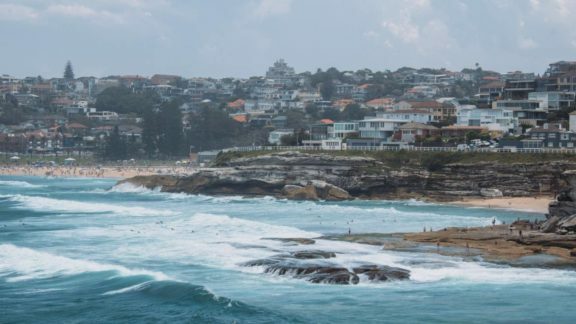 The one pictured below was spotted in Manly near Sydney. Water dragons are semi-aquatic and are therefore found near bodies of water, generally creeks, rivers or lakes with some rocks nearby to hang out on. Wombats are marsupials, but unlike most marsupials their pouch is backwards. They also do square poo’s. 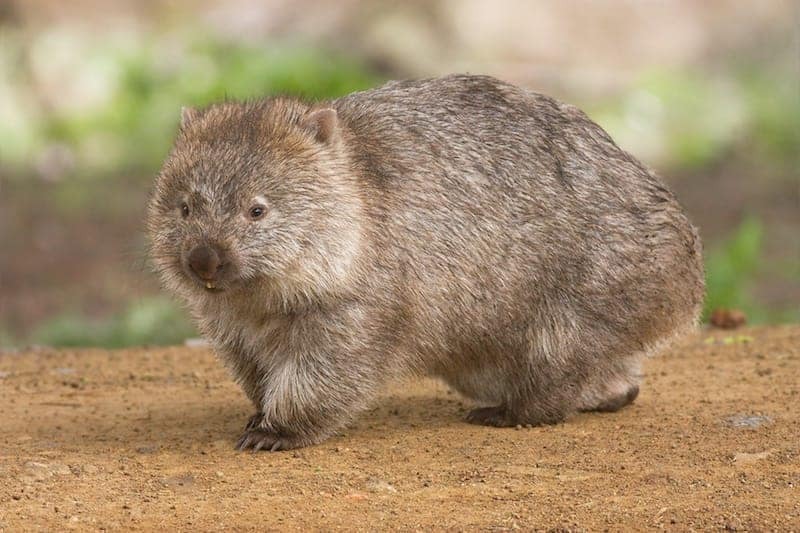 Wombats have strong claws on their short feet and look a bit like a fat gopher. They’re burrowing animals that live across Australia and Tasmania in forests, grasslands and even mountains. Being nocturnal, burrowing animals it’s unlikely you’ll see any in the wild even though they’re about the size of a medium dog. Yabbies are crayfish (basically small lobsters) that are a very popular seafood in Australia. It’s possible to find marine yabbies and freshwater yabbies. They come in a range of colours including blue, red and yellow. 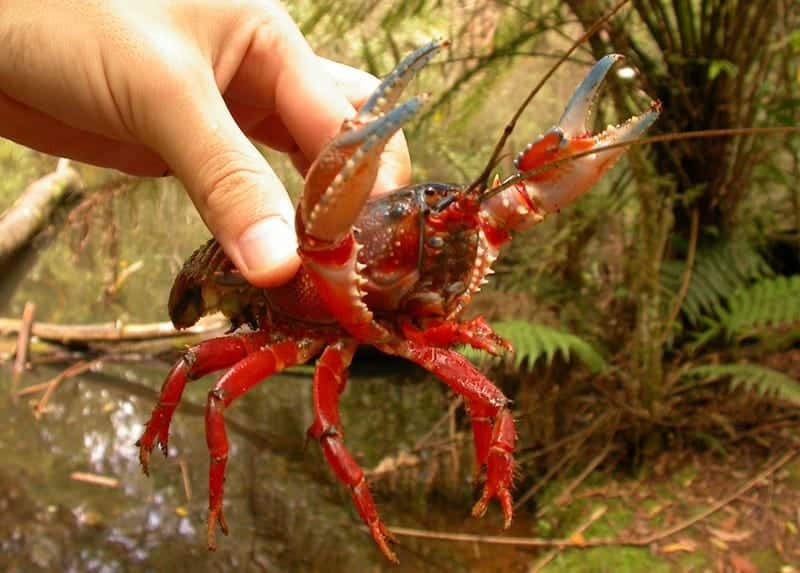 Yabbies can even survive periods of drought for several years by burrowing into riverbeds. Out of all the Aussie animals listed which is your favourite and why? What animals of Australia have I missed? I’ll add them in! Have you spotted any of Australia’s Big Animals? Like the Giant Koala, or the Big Penguin? No!? 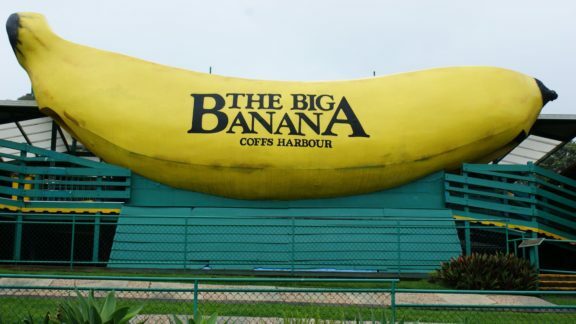 Here’s where to find Australia’s Big Things. I enjoyed the interesting animals of Australia, Thank-you for sharing. 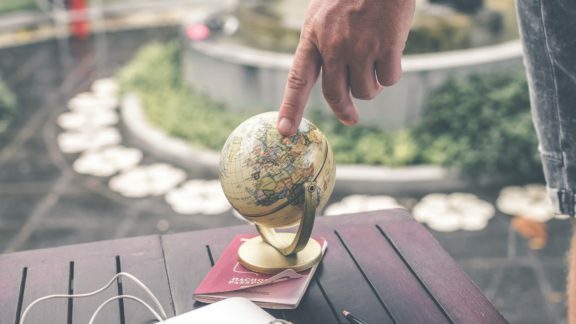 It does not matter what ‘most places’ refer to it as when they are wrong. 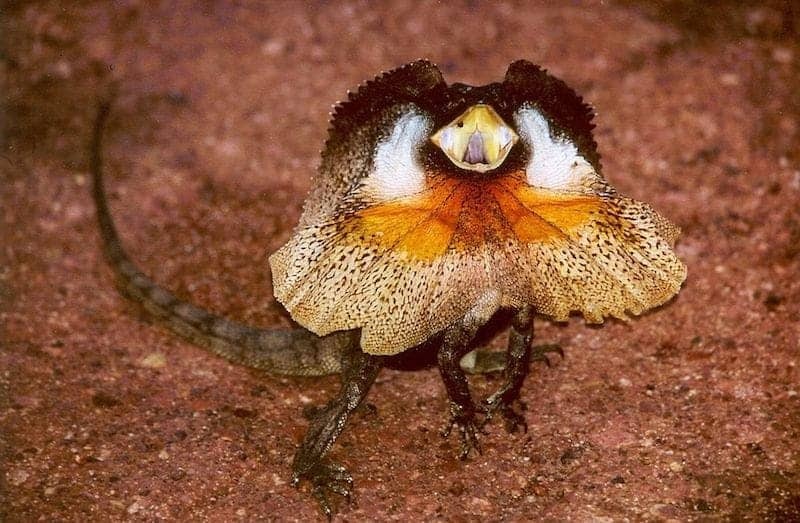 In all the 50+ years I have lived in Australia I have known it as Frilled Neck Lizard, Frilled Lizard (Frilly Lizard) or Frilled Dragon. You will find that scientific journals, etc, also refer to it as Frilled Neck and not Frill Necked. To call it ‘frill necked’ would imply that its entire neck is a frill which is not the case. Emu and Kangaroo are used on our cost of arms as they are unable to walk backwards. How can I relate all this Australian animals to Australian Culture? it look your buggy will go flat and what will you do about it!